Traeger’s wood pellet grills possess plenty of potential as vessels for cooking, but not everyone may be aware of how to fully take advantage of them. Are you getting the most out of your Traeger grill and tapping into its true potential? It’s not out of the realm of possibility that you’re already making good use of that grill, but it’s also quite likely that you’re still unaware of just how much it can really change the way you cook in your backyard. For instance, did you know that cooking beef back ribs on the Traeger Grill can be done in a number of ways? Wood pellet grills are highly versatile as they can be used for the purposes of grilling meat, smoking meat, and even braising meat. We’re sure that you’ve already managed to cook some delicious barbecued meats over the years, but by understanding how to get the most out of your Traeger grill, you can further diversify your offerings and deliver more sumptuous dishes to your friends and family members. Once you've worked out how to properly cook beef ribs with the aid of your Traeger grill, you will be able to gorge yourself on some of the most flavorful pieces of meat you'll ever have the pleasure of tasting. Depending on what cooking method you are planning to use, you will need different sets of ingredients. There are no wrong choices here, but there are ones that could better line up with your preferences or specific cravings on a given day. 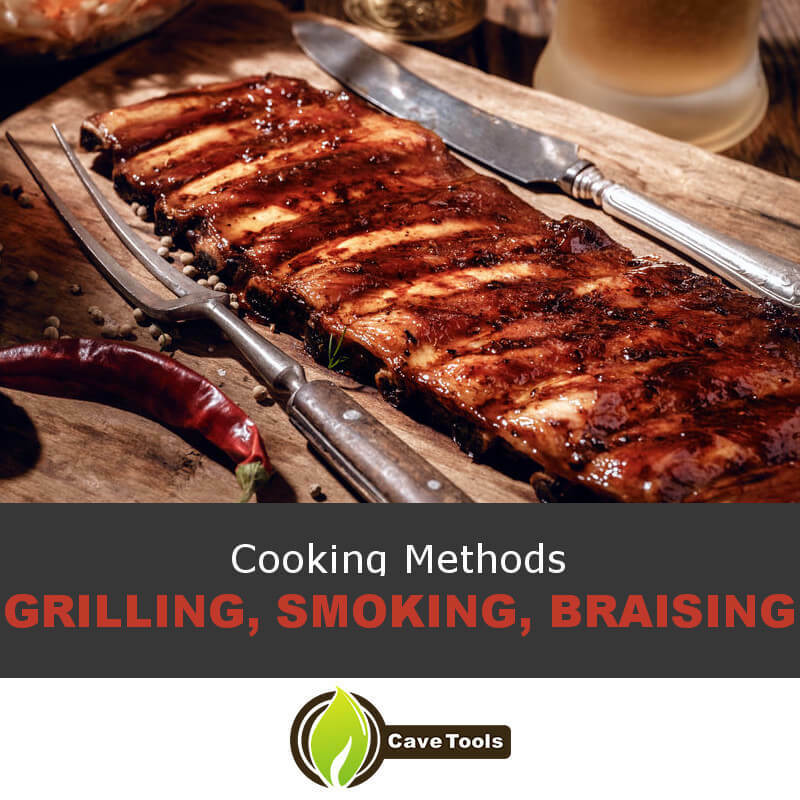 The grill preparation is classic and good for when you just want that pure and uncomplicated taste of barbecue, while smoking is ideal for the development of complex flavors. Braising will allow you to both infuse the ribs with tremendous flavor while keeping them easy to eat. Going with the braising method also allows you to take advantage of the similarities the wood pellet grill shares with the convection oven. 1. Marinate your meat. Take the wine, Dijon mustard, Worcestershire sauce, olive oil, salt and pepper and mix them all into either a bag or a pan. Cover the beef ribs in the marinade you just made and then refrigerate them – overnight is fine. Once you’re content with how long the ribs have been in the marinade, take them out and get them ready for cooking. 2. Turn on the Traeger grill and let the fire build up. That process should take around 5 minutes. Once the temperature of the grill is up to 250 degrees Fahrenheit, close the lid, and then let it continue to preheat for about 15 minutes. Don’t forget to keep your eye on the grill. 3. Apply some more salt and pepper to the ribs depending on your preference and then place them on the grill grates with the bone side facing down. You will need to stay patient as the cooking process could take well over 2 hours, but the reward for all that waiting will be moist and flavorful beef ribs you will never forget. 4. Take the brown sugar, cayenne, chili powder, garlic powder, paprika, black pepper, and the salt and then mix them all up to create a rub. After making sure that the beef ribs are dry, apply the rub to both sides. Don’t shy away from really pushing the rub into the meat. 5. Preheat the Traeger grill up to 225 degrees Fahrenheit and then get ready to deploy what is known as the 3-2-1 method for smoking ribs. This is also the time when you will want to get your foil and your apple cider ready for use, as you don’t want to mess around with the timing too much. 6. Employ the 3-2-1 method by first allowing the beef ribs to smoke with no wrapping for 3 hours at 225 degrees. Once 3 hours have passed, cover the ribs in foil and pour in some apple cider into the packet as well. Set the foil packet back on the grill and let it do its thing for 2 hours. Finish the cooking process by taking the ribs out of the foil, increasing the temperature of the grill, and then letting them cook for one more hour. 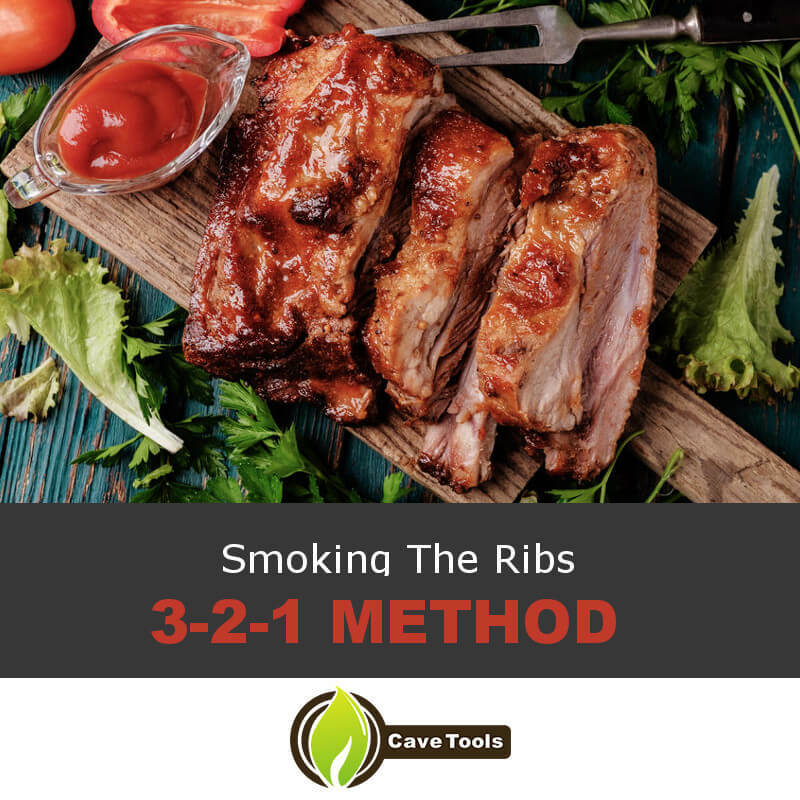 If you employed the 3-2-1 method properly, you should be able to enjoy truly delicious beef back ribs protected by a thin crust made out of the rub. 7. To start the braising process, the first thing you’ll want to do is to get a good sauté pan heated on the grill because you will want to caramelize your beef ribs. The caramelization process brings out the natural sweetness of the meat and it’s something that will help you develop the flavor that makes braising such a delight. Before putting the meat on the heat, make sure to season it lightly with some salt and pepper just to make sure that it will already become flavorful even at this early point. Brown the meat in your pan and try not to move it around too much. Once you’ve gotten some good color on the ribs, go ahead and place the onions, garlic and carrots in the pan and cook them down to bring out their best flavors. You can add some extra vegetables if you want. 8. Now that you’ve properly caramelized your beef ribs, and drawn out extra flavor from the onions, garlic, carrots and whatever else you decided to add, it’s time to add the braising liquid. There is no one braising liquid that you should use here, but given that you will be concentrating the flavor of that liquid, it is recommended that you go with one that already features a taste you are fond of. This is also the point in time when you can add spices to add more notes of flavor to your dish. The choice is yours here as well, so just go with your favorite spices. Once the liquid has had some time to settle in the pan, don’t forget to scrape the brown bits that may have formed on the pan as they will add even more flavor to your dish. 9. After you’ve added the braising liquid and the spices and also scraped the good bits from the pan, you can now move on to the next stage of the process. Put a lid on the pan and then close the Traeger grill. Crank up the temperature of your grill and then close the larger lid to essentially make it act as a convection oven. As for what’s next, well, it’s a bunch of waiting. If you want the braising done right, you may need to wait for up to 3 hours to let the liquid seep into the meat and allow all of those flavors to combine properly. You will also want to check on the dish from time to time as you don’t want the braising liquid to completely disappear and leave the meat prone to burning. By gathering the ingredients listed above and then following at least one of the aforementioned recipes, you should now be able to cook some truly delicious beef back ribs. Make sure that you properly follow all the steps outlined above, because if you don’t, you may end up waiting an entire day for your beef back ribs to cook only for them to turn out lacking in flavor. Serve this deliciousness with bbq sauce and your favorite side dish. You can also adapt this beef recipe to cook prime rib, beef short ribs, baby back ribs. Together with an awesome traeger beef rub it'll create some serious flavor that will surprise all your guests. Were you happy with this tutorial on cooking beef back ribs on your Traeger grill? If so, then let us know in the comments about how this tutorial put you on the path to enjoying delicious ribs. 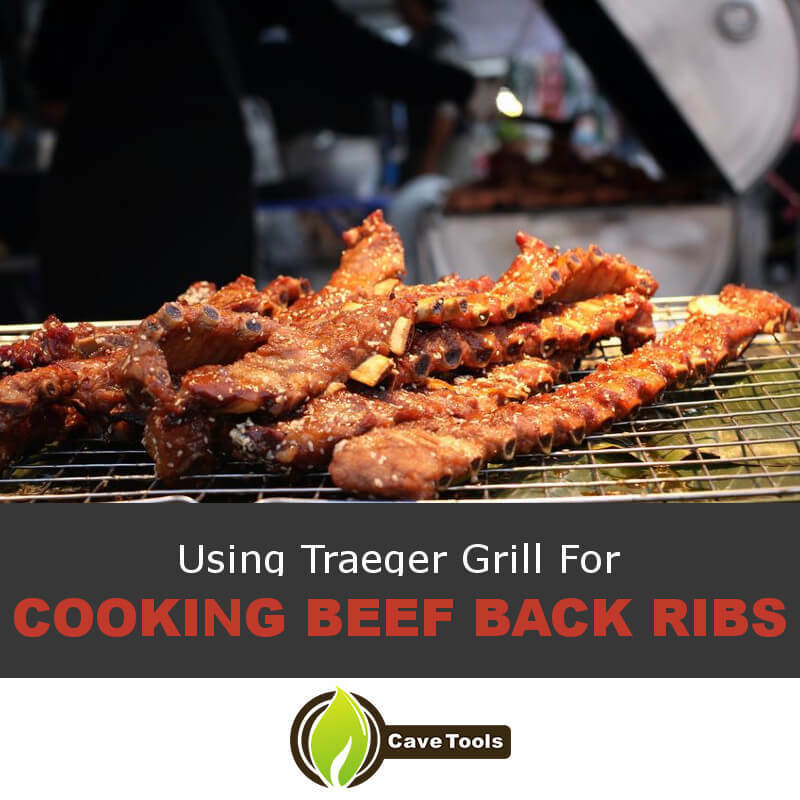 Share this tutorial with your friends and impart upon them the tips they will need to cook up their own wonderfully flavorful beef ribs using their own Traeger grills. Cooking beef ribs using Traeger grills may take quite a bit of time and effort, but it will all be worth it in the end. ​Are Beef Back Ribs the Same as Short Ribs? ​There are 13 ribs on each side of a cow, but they come in two major sections. The first is the back ribs, which have the meat located in between the bones. These back ribs are popular for barbecue because they’re long, curved, and full of tasty meat. Many people like braising back ribs because the bones are also packed with ​marrow, which is rich and delicious. The short ribs, on the other hand, are cut from the 6th to 10th rib and have the meat located on top of the bones. ​How Do You Cook Beef Back Ribs? ​You cook beef ribs in a similar way to pork ribs: low and slow on the grill or smoker. You first smoke them around 225 degrees F for about three hours. Then, to ensure they’re super tender and moist, you wrap them in foil and continue cooking them for two more hours. At this point, they should be ready to eat! ​How Long Do You Boil Beef Ribs Before You Put Them on the Grill? ​Some people recommend boiling beef ribs before grilling them. We don’t find this step to be necessary. 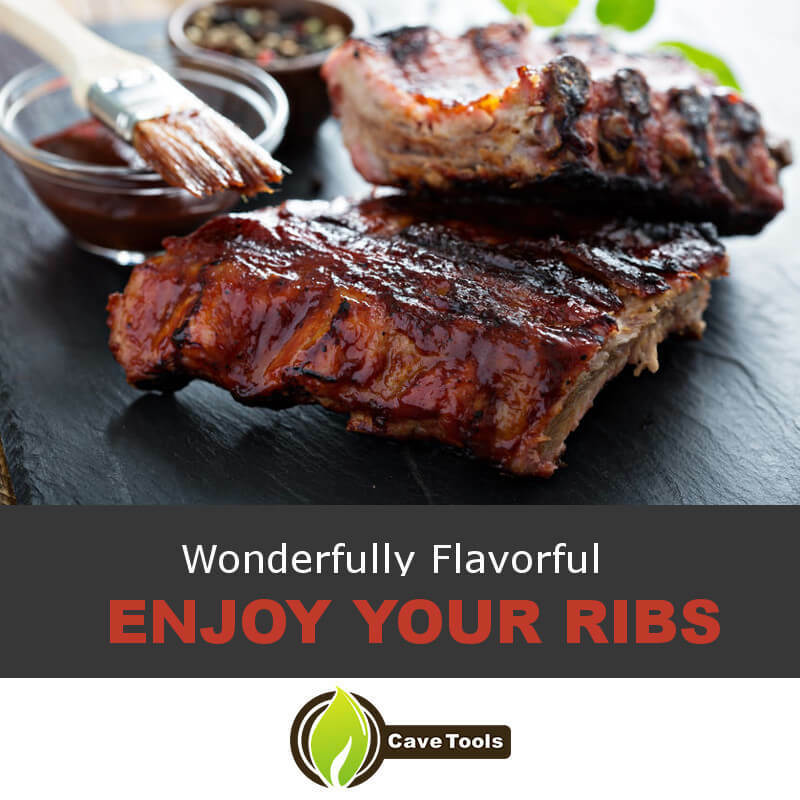 It leaches out delicious flavor from the ribs instead of letting them baste themselves as they cook. We recommend skipping the boiling step and tossing them directly onto the grill or smoker. ​What Temperature Do You Cook Beef Ribs? ​The USDA states that beef ribs are safe to eat when they reach 145 degrees F, but this could be too tough for your liking. The best barbecue beef ribs are cooked to a higher temperature, like 190 to 205 degree F, to ensure that they’re super tender and moist. The best way to tell if a rib is ready to eat is to twist the bone. If it moves freely, the ribs are done! If it’s stuck, continue cooking for a while longer. ​How Long Does a Traeger Grill Take to Warm Up? ​Since the Traeger grill uses pellets instead of charcoal, the warm-up process is a bit different. You load the pellets in the hopper, turn the unit on, and wait. It should only take 5 to 10 minutes to heat up, depending on the outside temperature.